No matter how clean you keep your bike, you always have to be on the lookout for that dreaded “enemy number one”, corrosion. Unless you live in the desert, humidity, salt air, spring road salt and plain old pollution threaten your bike’s “precious metals”. Just spray on and rub into the areas you want to protect, such as areas like fork tubes, case covers and wheels. 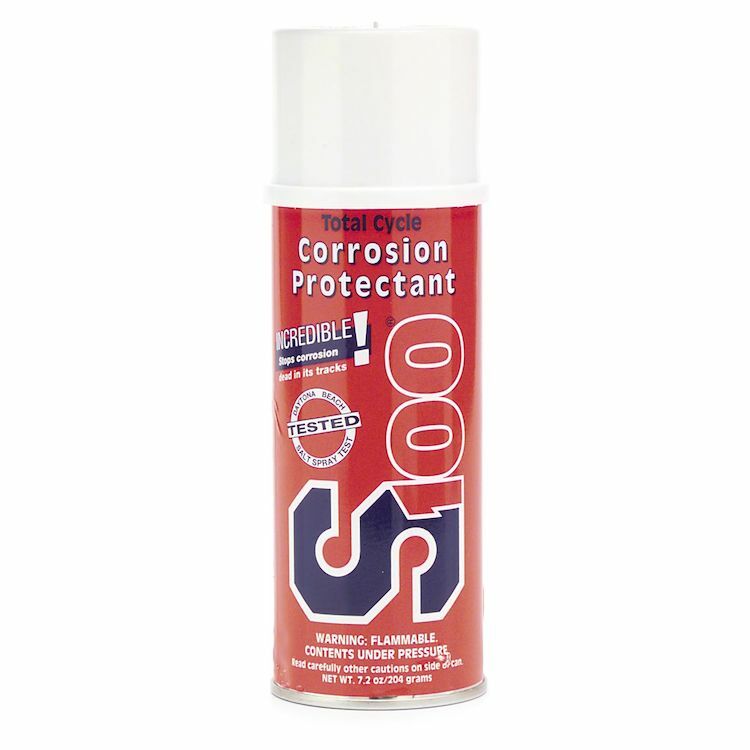 You’ll find that S100 Corrosion Protectant won’t rub off easily in the rain and so its protection really lasts. It even dramatically out-performed a famous so called “corrosion fighter”, so this is really the way to protect your investment.